Successful businesswoman and businessmen use a calendar every hour of every day. A calendar with a gorgeous cover fills busy workdays with warmth and beauty. The stylish bag that comes with the calendar lets you grab more than just a phone and a pen to the meeting – now you can also bring a bunch of markers, a memory stick, glasses, and anything else you might need. Immediately, the very instant the boss calls! The set includes an A5 calendar case and a bag for office accessories. Products are made of 100% woollen felt. Decorated with national style ribbons and a ribbon in the colours of the Estonian flag. This original, fine and practical product is a popular gift for companies’ foreign visitors, especially as Estonia’s 100th anniversary gift. 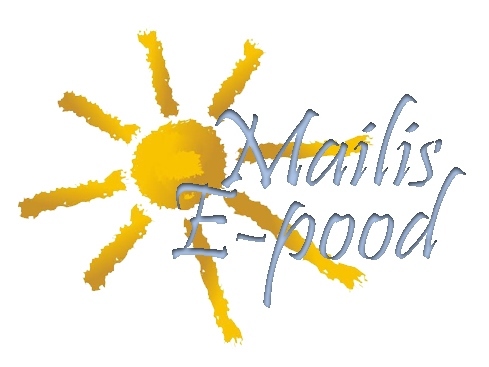 The Mailis Design online store (hereinafter the Online Store) is owned by Mailis Design OÜ (registry code 12578508), located at Kivinuka tee 5, Vääna-Jõesuu küla, Harku vald, Harjumaa, Estonia. Terms of sale are valid for purchasing goods from the Online Store. Payment is made in euros. Prices for products sold in the Online Store are listed by the products. The price of delivery will be added to the price of the goods. The cost of delivery depends on the purchaser’s location and the delivery method. The delivery fee is shown to the purchaser during the order process. Information about the goods is provided in the Online Store right next to the item. To order goods, you must add the desired products to the basket. To complete the order, you must fill in the required fields and select the appropriate delivery method. The fee is then displayed on the screen; this can be paid using a bank link or other payment solution. The agreement enters into force when the sum payable has been credited to the Online Store’s bank account. If the ordered goods cannot be delivered due to the product being out of stock or for any other reason, the purchaser will be informed as soon as possible and the money (including delivery costs) will be returned promptly, but not later than within 14 days after sending the notice. Goods are delivered to the following countries: EU countries. The cost of sending the goods is borne by the purchaser, and the corresponding price information is displayed by the delivery method. Deliveries to European countries generally reach the destination specified by the purchaser within 9–14 business days from the day the sales contract enters into force. In exceptional cases, the Online Store has the right to deliver the goods within 45 calendar days. After the order has been received, the purchaser has the right to withdraw from the contract entered into in the online store within 14 days. The right of withdrawal does not apply if the purchaser is a legal entity. To exercise the 14-day right of withdrawal, you must not use the ordered goods in any way other than is necessary to ensure the nature, characteristics, and functioning of the goods in the same way you would be allowed to test the goods in a physical store. If the goods have been used for any purpose other than is necessary to ensure the nature, characteristics, and functioning of the goods, or if there are any signs of use or wear and tear, the Online Store has the right to lower the amount returned in accordance with the decrease in the value of the goods. To return the goods, you must submit a declaration of withdrawal to the e-mail address mailis.kess@gmail.co within 14 days of receiving the goods. Upon receiving the returned goods, the online store shall return to the purchaser, promptly but no later than after 14 days, all of the payments received from the purchaser based on the contract. The online store has the right to refuse to make the refund until the goods being returned are received or until the buyer has provided proof of returning the products, depending on whichever occurs first. If the buyer has clearly chosen a different delivery method than the cheapest usual delivery method offered by the Online Store, the store is not required to compensate the cost exceeding the usual delivery cost. The Online Store is responsible for the non-compliance of goods sold to a purchaser with the terms and conditions of the contract or for deficiencies which already existed at the time of delivery. It is the Online Store´s responsibility to prove otherwise. The Online Store is not liable for any defects arising after delivering the goods to the purchaser. If goods bought from the Online Store have defects for which the Online Store is responsible, the Online Store will repair or replace the defective goods. If the goods cannot be repaired or replaced, the Online Store shall return to the purchaser all the payments under the contract of sale. The online store will respond to the consumer´s complaint in written form or in a format which can be reproduced in writing within 15 days. The Online Store uses personal data entered by the purchaser (including name, telephone number, address, e-mail address, bank details) only for processing orders and for delivering goods to the purchaser. The Online Store sends personal information to the delivery companies in order to deliver the goods. The Online Store sends newsletters and offers to the purchaser's e-mail address only if the purchaser has expressed an interest for it by entering the email address on the web site and has indicated his/her wish to receive direct mail notifications. The purchaser can at any time cancel the offers and newsletters sent to the email by sending us an email or by following the instructions in the email containing the offers. All complaints made by a purchaser about the Online Store must be e-mailed to mailis.kess@gmail.com. If the purchaser and the Online Store are not able to settle the dispute by agreement, the purchaser may contact the Consumer Dispute Committee. The Consumer Disputes Committee is competent to resolve disputes arising from a contract between the purchaser and the Online Store. The purchaser’s appeal is reviewed by the commission free of charge.